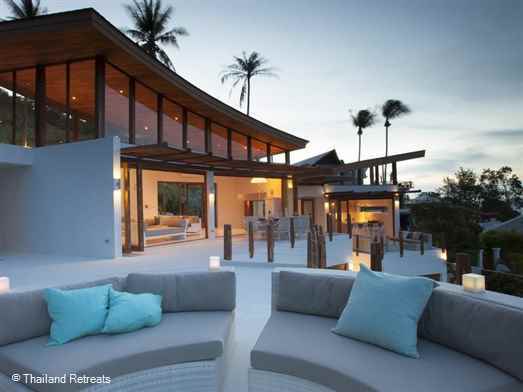 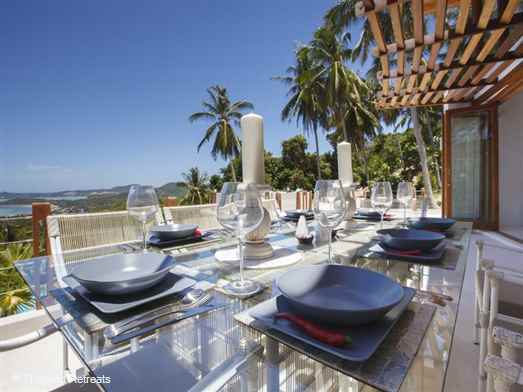 A stylish villa with breathtaking views set in the hills above Bophut and Fisherman's Village. 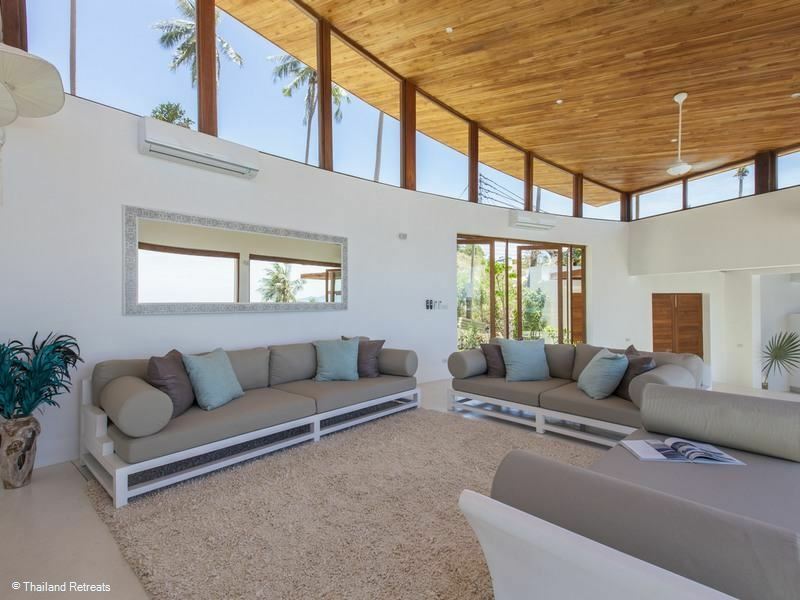 Luxurious interiors and spacious outdoor tropical living create a special holiday villa to enjoy with family and friends. Offers rates for 3 and 4 bedroom occupancy certain seasons. Villa Kya is a fantastic villa in a beautiful tropical setting exuding an utter wow factor with it's stunning views, spacious design and unparalled location in one of the Samui's most sought after hillside retreats in Bophut. 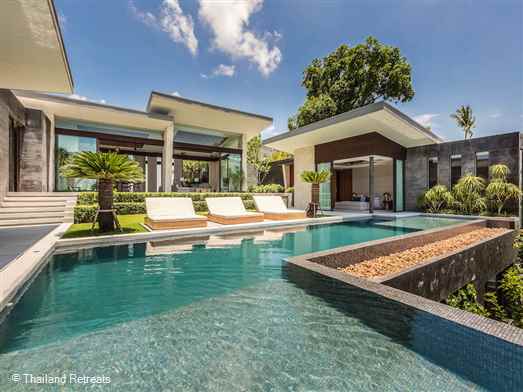 This expansive villa combines modern luxury with tropical elegance to deliver a sophisticated sanctuary perfect fo groups of friends, special events or a peaceful family retreat. The entrance to Villa Kya leads straight into the stunning living room with it's vaulted ceiling, concertina doors and floor to ceiling fold back glass doors and exquisite bespoke furnishings creating a graceful interior with an abundance of light. 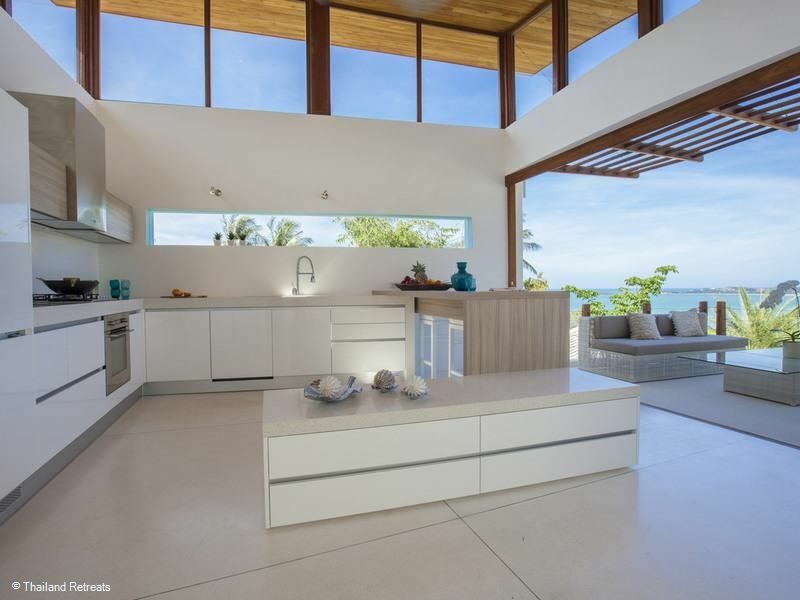 The well appointed high end kitchen a few steps down to the left of the entrance has a breakfast bar and an outside sofa seating terrace in unfolding views. 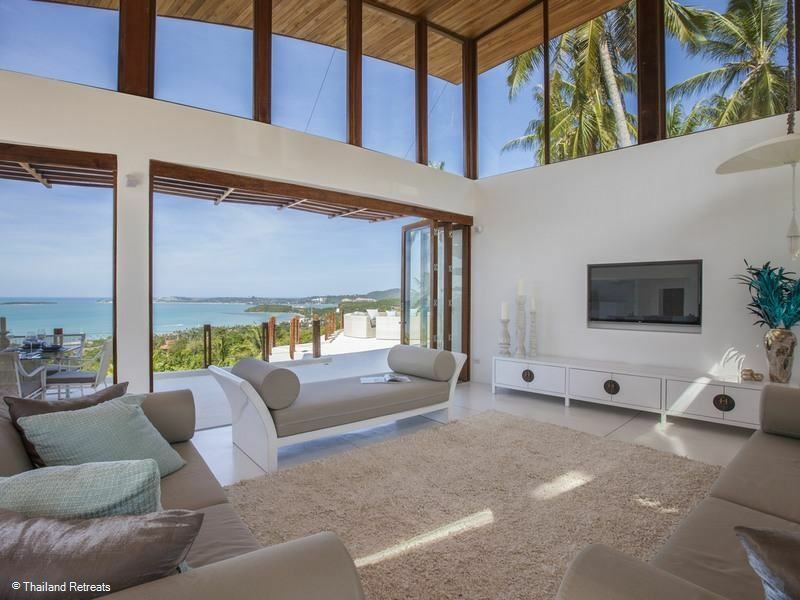 The lounge area to the right has sumptuous sofas and armchairs and guests can enjoy surround sound movies on the 50" flat screen smart TV. The lounge area expands on to the large terrace under a slatted roof trellis where there is a dining set with seating for 8. 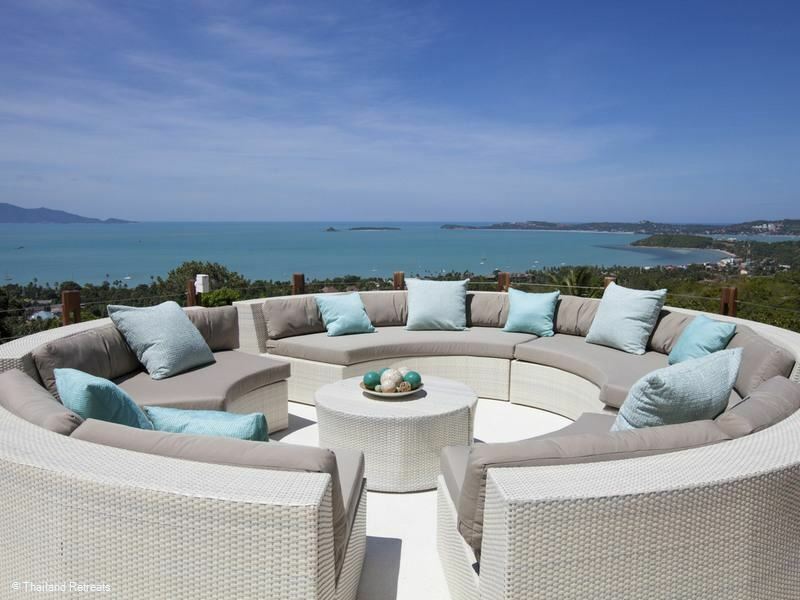 An outstanding feature of the villa located close to the living areas is the Moon Terrace with it's luxurious custom designed circular sofa seating providing the perfect venue for after dinner relaxation under the stars and overlooking Bophut bay. The master suite and 3 further double bedrooms are located a few steps down from the main living area and just above the pool deck. These beautifully furnished sanctuaries provide amazing vistas and all have their own terraces with sofa seating. 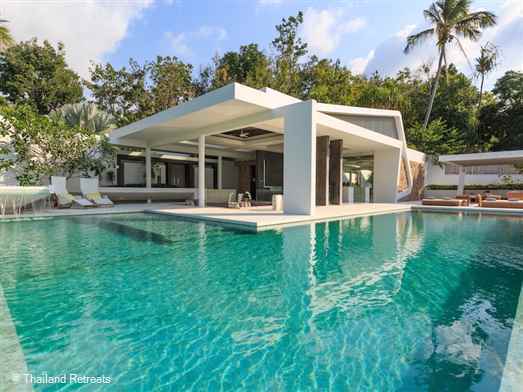 The infinity edge swimming pool is a stunning standout feature of Villa Kya with a small shaded circular walled shallow pool area at one end which is ideal for kiddies and a larger infinity edge pool which has a swim up bar and underwater seating before cascading over to a plunge pool. 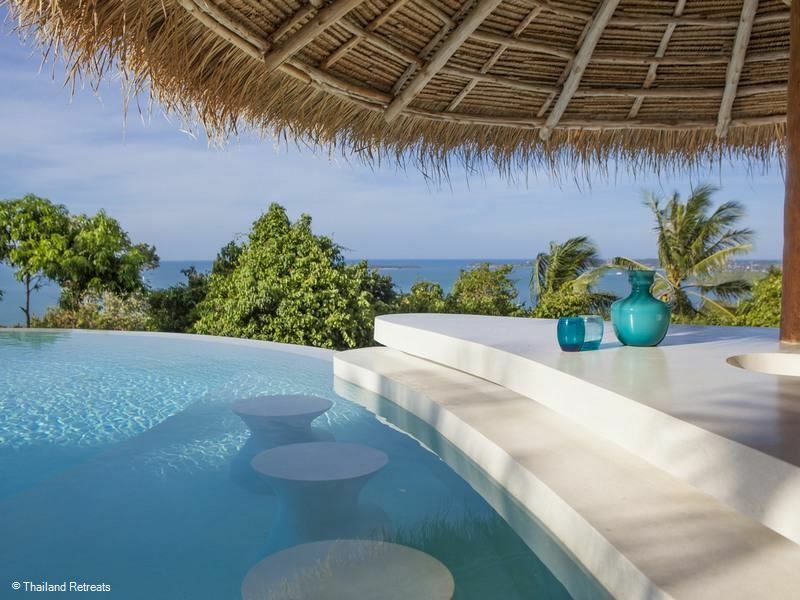 Surrounding the pool is a large sundeck furnished with double sun loungers and set in the lawned gardens bordering the pool deck is a thatched dining sala and a covered chill out lounge area. 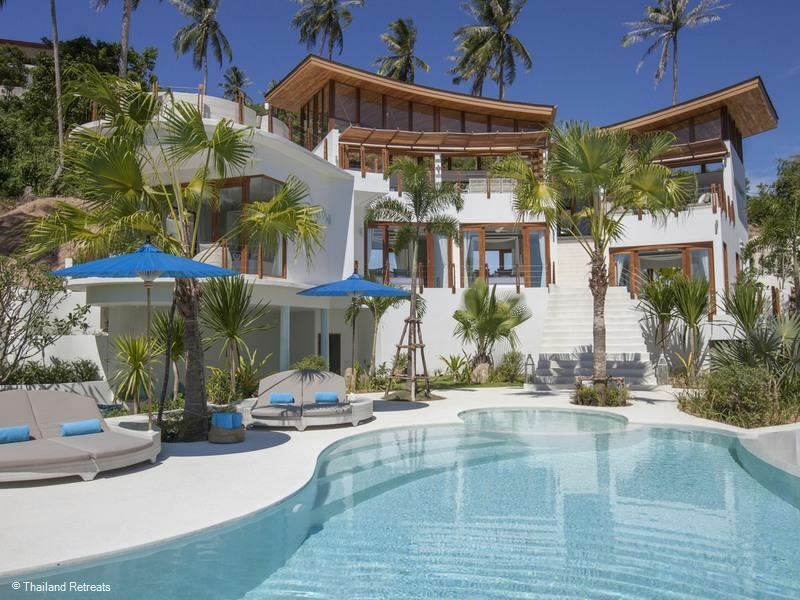 This beautiful and stylish villa is located just 7 minutes from the popular and sophisticated Fisherman's village of Bophut with it's quaint shop houses, fine oceanside dining and 'walking street' market as well as the beaches of both Bophut and Maenam and would suit families, groups of friends or just a couple requiring a stunning sanctuary setting. Breakfast bar stools and outside terrace with sofas. 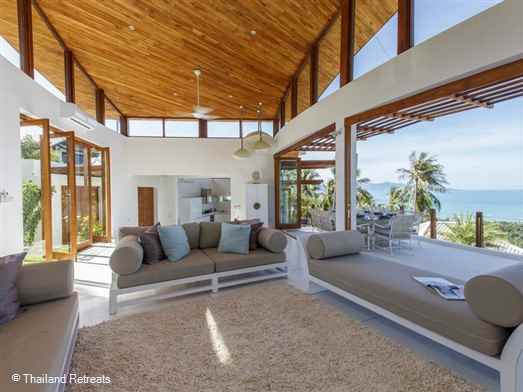 Bophut is a popular area to stay with beach villas and exclusive panoramic view villas. 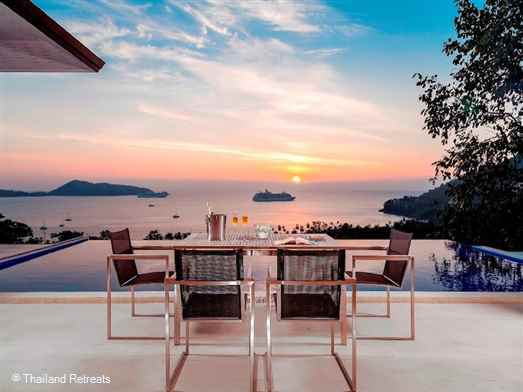 The area is famous for the beachside Old Fisherman's Village offering a host of dining options serving international cuisine as well as delicious Thai food, cocktail bars, Sports bars and a number of chic coffee outlets to sit and people watch. 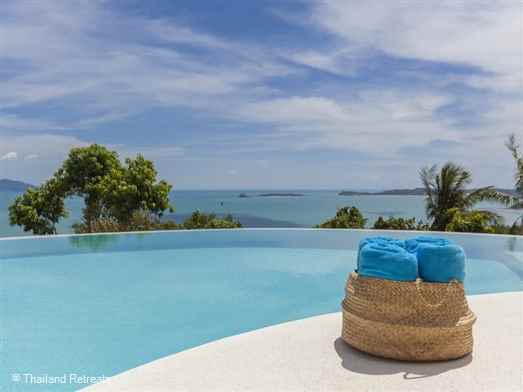 There is also plenty of tourist shopping, tour shops massage shops in addition to the beach and a watersports centre. There is a "Walking Street Night Market " on a Friday evening from 4.30 - 10.30pm attracting a great number of visitors from all over the island. 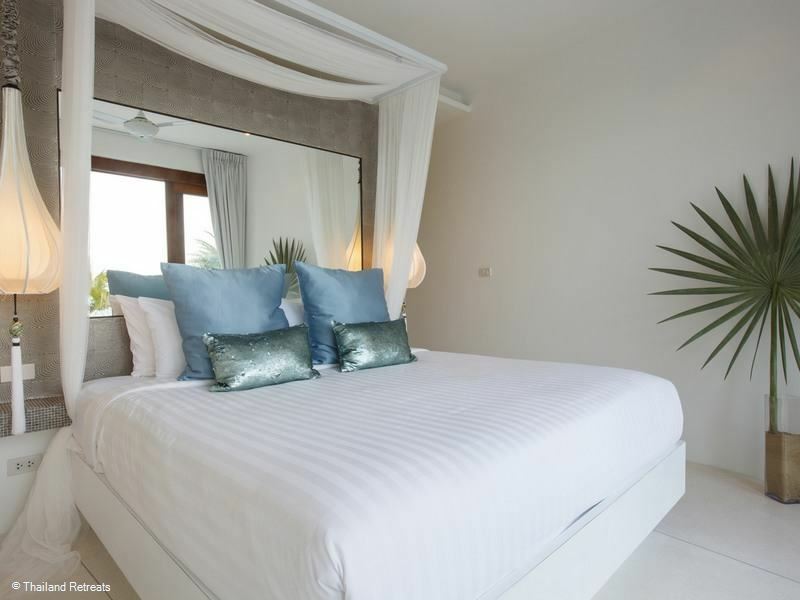 PAYMENT TERMS Deposit For all seasons the receipt confirmation of fifty percent (50%) including service charge and VAT of the total booking fee paid by the Guests to The Agent is required to confirm the reservation within the 3 days option after the confirmation of availability Balance Regardless of the period, balance payment is due in full no later than 30 days prior to the date of arrival. 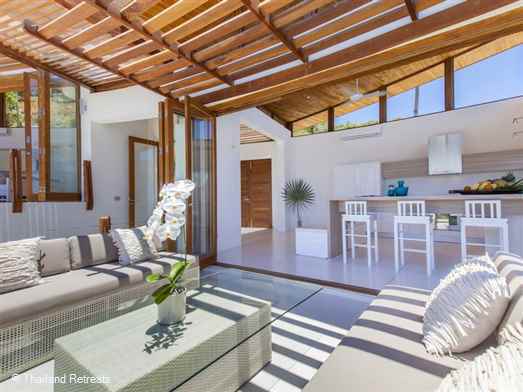 Last minute For any reservation within 30 days from the arrival date, full prepayment upon confirmation is required to secure the villa. 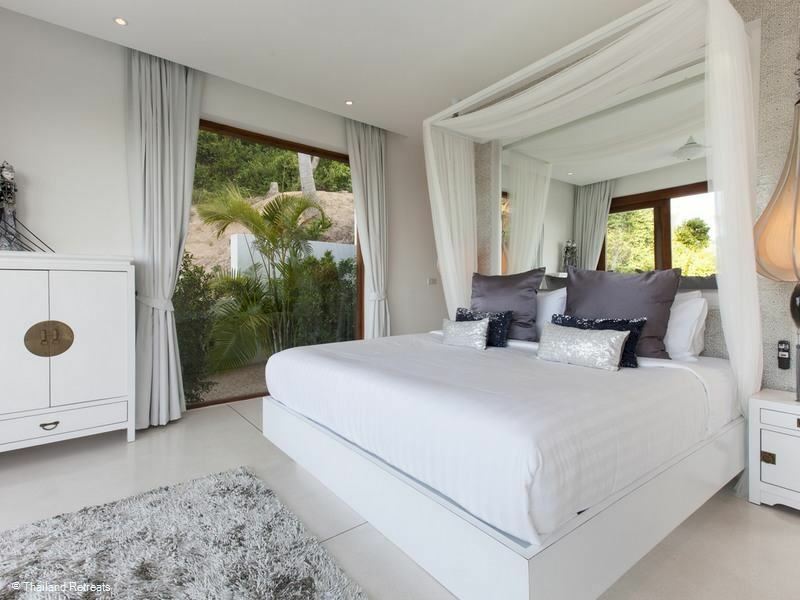 CANCELLATION POLICY For Low, High and Promotional Seasons, all payment (s) received will be credited for up to 9 month of the cancellation date if the booking is cancelled after the payment (s) date. For Peak Season, Christmas/New Year and if the booking is cancelled after the deposit and/or balance payment date, all payment (s) received will be forfeited or refunded in pro-rata shall another booking be secured for the same period that has been cancelled. Should a Guest wish to leave The Villa while on site or upon arrival, the full amount paid will be forfeited. 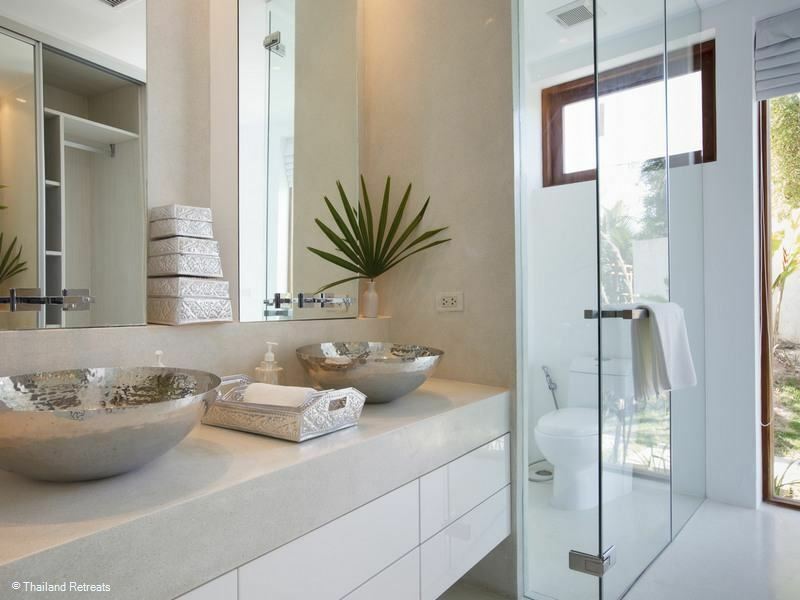 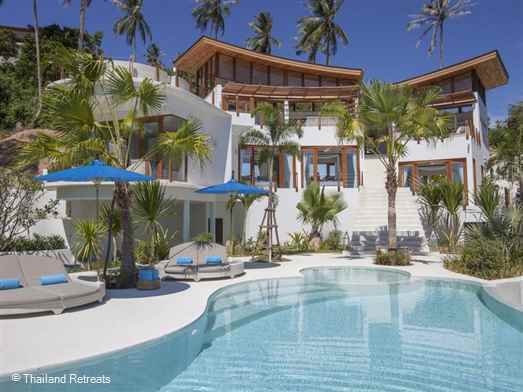 Celadon is a beautiful contemporary design villa and very private. 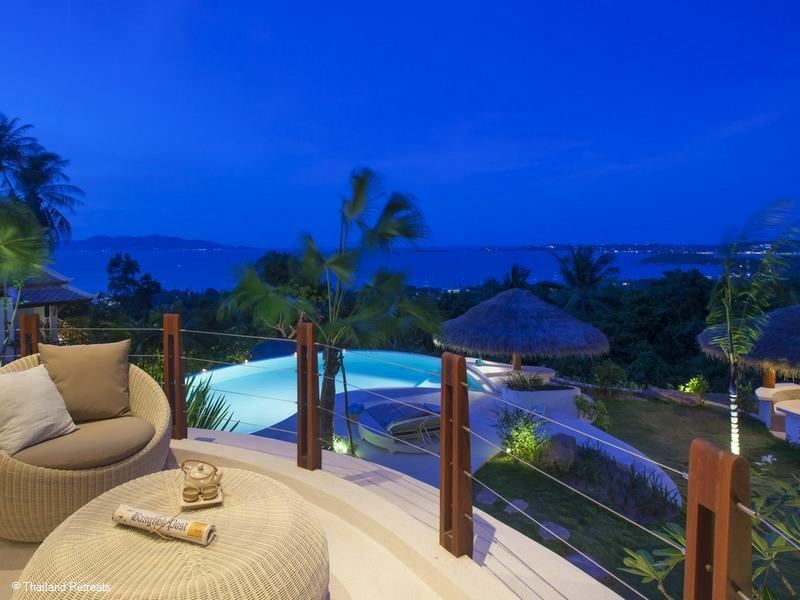 The villa offers amazing panoramic views of the north coast and the Angthong National Marine Park from a secluded hillside location. 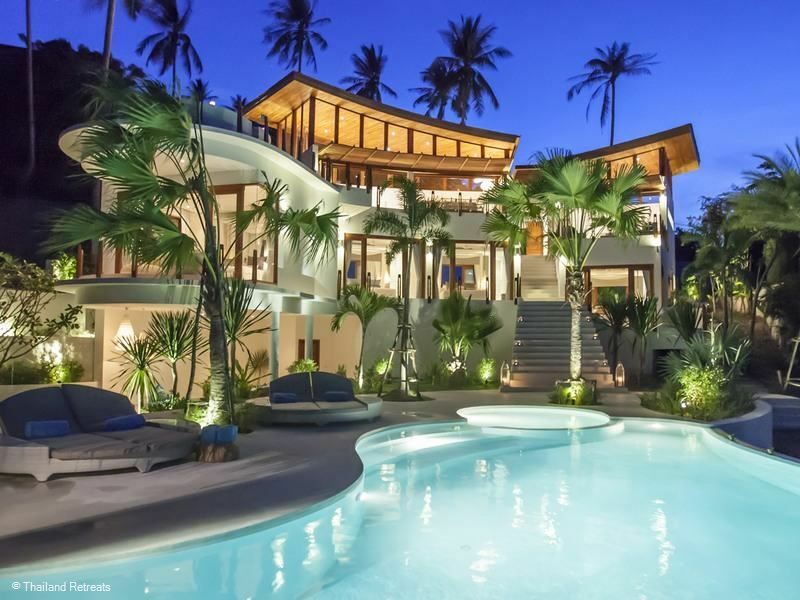 A short drive to a palm fringed tropical beach and restaurants. 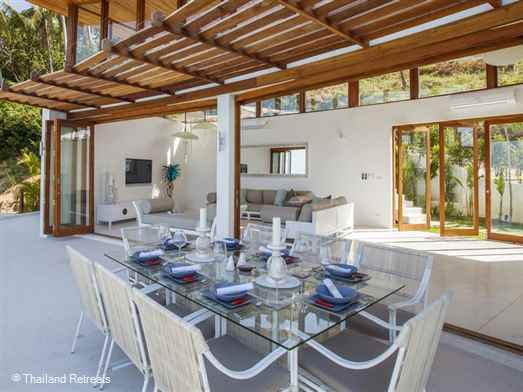 Raku is a beautiful high spec architect designed contemporary style villa offering excellent service to the discerning traveller. Stunning views of the neighbouring islands and a short drive to beautiful beaches feature for a fabulous holiday villa.